Yesterday I made the observation that it was much cheaper to transmit information than to travel to an interstellar destination, observing that sending a microscopic robot able to use raw materials in the destination system to bootstrap manufacture what it needs. The Leather Library pointed out that this applies as well to destinations in our solar system. I think that’s definitely right. All we have to do is look at the current state of our exploration of the solar system. We have sent robot probes on missions to Mars, Venus, Mercury, Jupiter, Saturn, Uranus, and Neptune. Currently four of these probes are headed outside of the solar system. We have, or had, probes in orbit of Venus, Mars, Jupiter, and Saturn. We have rovers on the surface of the Moon and Mars. We have a probe headed to Mercury to orbit and examine the planet, and another probe on its way to a close approach to the sun to study it. We have a probe on its way to fly by Pluto and then explore the Kuiper Belt. Robots are exploring the entire solar system and sending enormous amounts of data back to us. Humans, in contrast, have only spent a substantial amount of time in near Earth orbit, so low that that the orbiting International Space Station has to periodically fire thrusters to boost its orbit to avoid air drag bringing it down. Except for a brief period of heroic, but largely symbolic, flights to the Moon, this has been the extent of human exploration. Why is this? Because sending robotic probes is far cheaper than sending humans. Humans are organisms evolved to survive in a narrow biosphere on the outer crust of the Earth. Move us to anywhere outside of that biosphere, and we quickly die. For that matter, move us to many locations within that biosphere, and we still die fairly quickly. Sending humans into space involves taking a part of the biosphere with us. It involves sending supplies, additional radiation shielding, and a great deal of additional safeguards to minimize the chance of anything happening to the humans. All of these things, along with the requirement to get humans back to Earth, add enormous amounts of mass and energy requirements to any space exploration mission. Robots do have one serious drawback of course. They don’t have the versatility, the knowledge, the dexterity, the judgment of humans. I remember seeing an interview with a NASA engineer who expressed how much more efficient rover operations could be if they could be controlled from Mars orbit. Or if they could be done first hand by humans. Many people assume that these limitations will eventually compel us to send humans to these locations. Perhaps. But it’s worth noting that the robots have become much better since we started sending them out. The robots of today are far more versatile than the ones in the 60s and 70s, which could do little other than flyby missions or stationary observations. Robots are constantly improving. The question is, will they get better fast enough to ever make sending humans a completely redundant proposition, at least as far as scientific discovery is concerned? And if they do, should that cause us to abandon the idea of human space exploration? At this point, it’s worth pondering why exactly we want to send humans to these destinations. For colonization? For the spirit of exploration? To insure survival of the species? Colonization is the idea that people will want to live on places like Mars. But aside from the glory of being the first people there, what exactly would colonists do when they got there? Particularly if all of the science work could be done by machines? Mars is a brutally inhospitable place. To avoid health damaging radiation, settlers might have to spend the lion share of their time underground. Once the initial glory has faded, how many people are really going to want to do that? How many people will want to exile themselves to never being able to ever again walk out in the open? But what about the spirit of exploration? The spirit of the people who explored the world during the European Age of Discovery? There are two important things to understand about the Age of Discovery. The first is that it had a strong economic incentive. 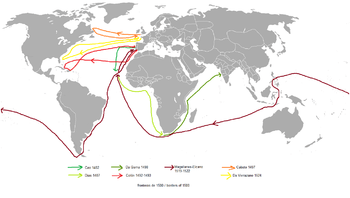 Initially it was to find alternate trade routes to the far east. The old overland routes had become unreliable, dangerous, and expensive. The second is that settlement in the wake of these discoveries happened on the promise of usable farm land. Land that existed in the same biosphere (and often had existing inhabitants, but that’s a different issue). Even with that benefit, many of these colonies still failed. 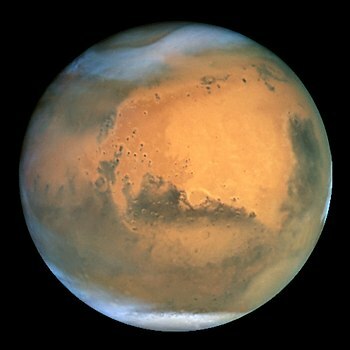 I don’t doubt that we will eventually send humans on symbolic journeys to Mars and many other locations. Will long term survival of the species motivate us to do more than that? To establish a permanent human presence at these locations? Survival of the species is a laudable goal, but the payoff is probably too remote to convince taxpayers to give up anything today to insure that it happens in the remote future. Personally, I’d like to see human space exploration happen, although I’ll fully admit my motivations are romantic rather than cold hard reasoning. Private enterprises like SpaceX do give some hope, but that hope would be stronger if they didn’t need government contracts to fund their operations. Until and unless someone finds an economic incentive for humans to travel to these destinations, or finds a way to make human space travel far cheaper, progress in this area will likely be slow. It may become even slower as robotic craft continue to improve, and allow us to get more exploration done with them alone. 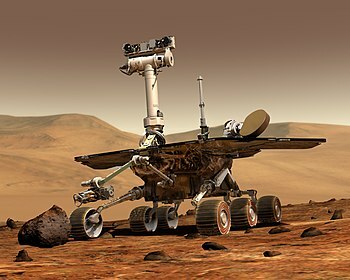 This entry was posted in Space and tagged Exploration of Mars, International Space Station, Kuiper belt, Mars, Mars Exploration Rover, Nasa, Opportunity, Solar System, Space. Bookmark the permalink. With robots, it’s tricky to figure out where they’ll go. You’d still ideally want a space station full of humans nearby to examine what the robot is finding and tell it to stop and go back on short order, but that might not be as urgent if you’ve got robots that can more or less operate themselves during their main mission life-times. Yep, space is more or less a series of Antarcticas within our solar system, except much less hospitable than the real Antarctica. We go to Antarctica for tourism and research, and we’d probably go there for mining and extraction if it was legal under the treaty, but nobody permanently lives there. Not because people couldn’t permanently live there, but because there’s no point or need for it. It depends on how relatively cheap space travel gets, but you could eventually see some small habitats with permanent residents in Earth orbit . . . and beyond if it becomes something that more than a few hundred people could afford. Better robots in space means you have better robotic “crews” to assemble space stations for you, either autonomously or remotely operated from Earth. You just have to pay the costs of getting people there at that point, plus the costs and resources of building and supply. One amusing factor is that they could still participate in the economy including Earth to pay for stuff even if they never actually export anything physical back to Earth. Of course, if you’ve got cheap enough space travel that more than a few hundred people can go up, maybe nobody will bother to permanently live in space. Why live in a habitat with comparatively limited space and plenty of safety restrictions, when you can live on Earth and periodically go up into space to visit and see the sights? Well said. I remember reading an interview where someone pointed out that before we colonize Mars, we should colonize Antartica, since it’s the garden of Eden compared to Mars. There are people working on new propulsion techniques (VASIMIR comes to mind) to quicken the transit to Mars, which I think increases the likelihood of us going sometime in coming years. But human colonization may always be a shaky prospect.